One of the higher priorities for the church in recent years has become assimilation, and rightful so. The days are gone when people would find the nearest church and commit immediately—more people are secular and are not looking to jump in to a church and more Christians are cautious in their involvement. If people visit your church, however, they are probably looking to connect in some way, regarless of their spiritual condition. If they don’t, they won’t be around long. So, this article is intended to help you find ways to connect with people who visit your church but are not connected in community. In a later article, I will deal with connect (via groups) with people in your community. Simply put, you need to find opportunities to connect with disconnected people that attend the church gathering. People need to be assimilated into the church fairly quickly. It has been said that if people do not get plugged into some meaningful community within six months of their attending a church, they almost always drop out. In some cases, that may look more like six weeks. On the other hand, if they are successfully connected (or “assimilated”), they are probably going to stick. This opens up doors for evangelism, discipleship and spiritual growth for not only with those people and their family, but also their extended family and friends. People come to a church gathering and they will typically visit anonymously to check things out. They are often looking for a connection to God that comes through worship, prayer, the sermon and communion. They are also looking for a connection to people; otherwise they would stay at home and watch an Internet church. If they connect with God at the gathering but don’t connect with people, they may miss an opportunity for their spiritual growth, health (or in some cases, spiritual birth). 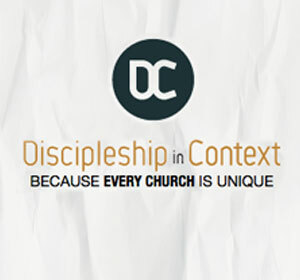 Let’s look at five ways a church body can connect with the disconnected. The three-minute rule begins when the final prayer is said or song is sung. This is not the time to talk to your best friends. During those first three minutes, two things are going to happen: people who are familiar are going to talk to each other and people who don’t know anyone are going to leave quickly. This is where it’s crucial. If you take the time in those first three minutes to talk to the people who aren’t connected, you will have time afterward to talk to your friends who are more likely to stick around. You need to see those first three minutes after a church gathering as a time-sensitive corporate fishing pool for Group prospects. You have three critical minutes to look immediately around for people who are not connected in the body. Be friendly to them, ask them if they are in a group, and invite them if they are not connected to one. Key group leaders should move to the exit areas to connect with the disconnected right after the sermon or the end of the message. The people who are the most disconnected will exit before they have to speak to anyone. They may not be ready to connect, but you can at the least, be a friendly face on their way out. If they return, you will have a greater opportunity to connect them to a group when they are ready. 3. Know Where the Groups meet and have a Groups Concierge in a Prime Location. 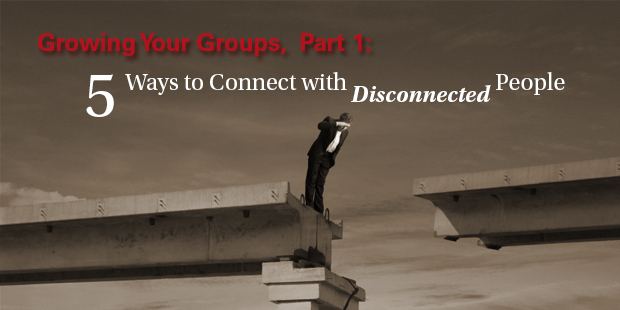 As a group leader trying to connect with newer people, know what groups may work best for the person you are trying to connect. If the visiting family lives 15 miles east of the church gathering, asking them to attend a group that meets 15 miles west would not seem very wise—you shouldn’t expect them to drive 60 miles round-trip every week for a group meeting. Try to connect them with a group that meets fairly close to their home. If you are not sure, walk over to the group’s counter with them and help them to find one that best suits them. You can offer your assistance based on their demographic or their interests as well as your knowledge of the leaders. The goal is connecting them to a group that best serves their needs, not that best serves your needs. Have a groups table with a volunteer staffer ready to help them find a place. 4. Invite them to a Basic Newcomer’s Class or Informal Gathering. Connect with people by inviting them to a basic newcomers’ gathering. This could be a class that highlights the foundations of your church or it could be an informal gathering that helps them find their next steps for assimilating into the church. 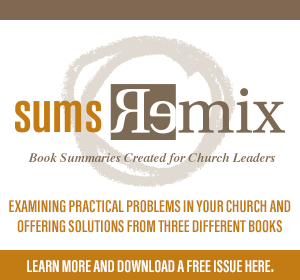 Design this as an opportunity for them to connect with other people: group leaders, key leaders and pastors. The goal of this newcomers’ gathering is to connect them with the mission and vision of the church, with other people, and with a group. Here is where we go “old school.” Many churches have abandoned some basic follow-up of visitors to their church gatherings. Below are some follow-up things we do. Visitors receive a phone call on Sunday night from a volunteer who thanks them for visiting. The church mails out a typed letter on Monday that includes information about small groups. An optional follow-up is really old school. We stop by their house with a baked good on the Saturday after they visited. This works better in some parts of the country than it does in others. Finally, we provide the names and contact information of those people who attend the newcomer’s gathering to the group leaders. We want the group leaders to connect them to a group as soon as possible. We want to move disconnected people who are sitting in rows toward becoming connected people who are sitting in circles. If we do that quickly, they’re almost certain to stay and become connected into the life of our church. If they’re not yet a believer, they will hear the gospel in the context of having some friends around them, and that is the ultimate goal. We want them in the Kingdom, not just in the building. It starts with a simple connection. Later this month, Eric Geiger and I will release a book called Transformational Groups.Groups are at the core of the mission of the church, and in our book we set out to help churches evaluate and improve their small groups. You can learn more about the book and preorder your copy here. Read more from Ed here. Missing People – Do You Know Who They Are?